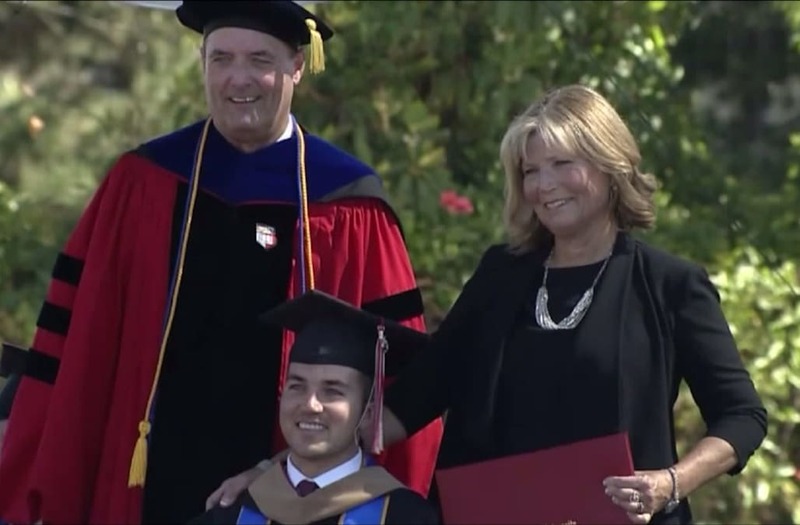 A California mom received an honorary MBA degree from Chapman University after she attended every class with her son, who was left paralyzed from the shoulders down after a 2012 accident. Judy O'Connor, a retired primary school teacher from Orange County, played a crucial role in helping her 29-year-old son, Marty O'Connor, achieve his goal of earning his master's of business administration degree. 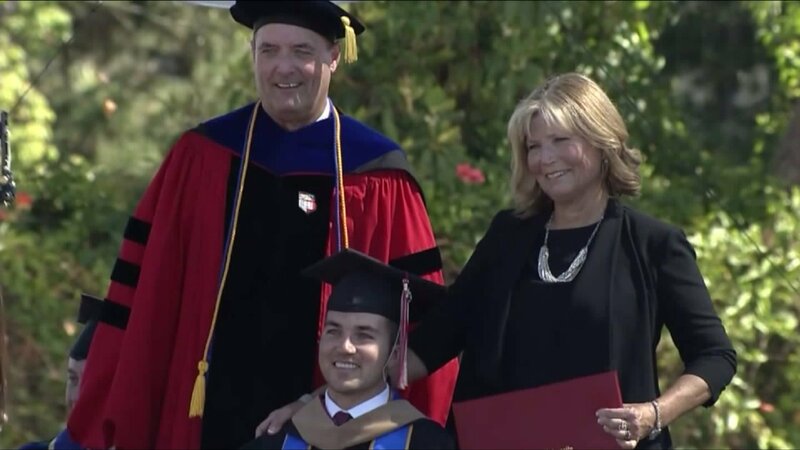 Marty was rendered quadriplegic after he fell down a flight of stairs in 2012, just two years after earning his undergraduate degree from University of Colorado, according to Chapman University's blog. Although attending physical therapy five days per week helped him heal physically, he still felt lost mentally, which fueled his desire to pursue higher education. "While my body was in a better place because of that, mentally, I was just kind of lost," he said. "I needed that mental challenge and wanted to add some professional value to myself." After Marty became serious about MBA programs and was awarded a $10,000 per year grant from the Swim with Mike organization, his mother realized he might not be able to go at it alone. Not wanting her son to miss out on any of life's opportunities because of his disability, O'Connor began going to classes with her son every day, helping him take notes and study for exams to ensure that his dream would come true. Despite her tireless dedication to her child's education, O'Connor says she was still in shock when it was announced she would receive an honorary MBA, shortly after pushing Marty across the stage so he could receive his. "Mrs Judith O'Connor has attended all the classes with her son Marty," an announcer read, becoming choked up as she explained the administration's special decision. "She has taken notes and worked with Marty throughout his academic career." Naturally, Marty was more than thrilled to share the spotlight with his mother during his graduation -- in fact, he was the one who suggested the idea to administrators in the first place. "I was just so excited for her because she deserved it so much," he said.